If you're from Tucson you're definitely familiar with the annual Tucson Meet Yourself festival. If you're from out of town, you still may know about the event. But did you know that the organizers had to move the festival to a different location? Don't worry, it's not far from its original spot at El Presidio Park. The organizers of the festival had no choice but to choose a new location. The city informed them that it would not be able to issue them a permit to host the event at El Presidio Park this year because of the parking garage underneath the park. 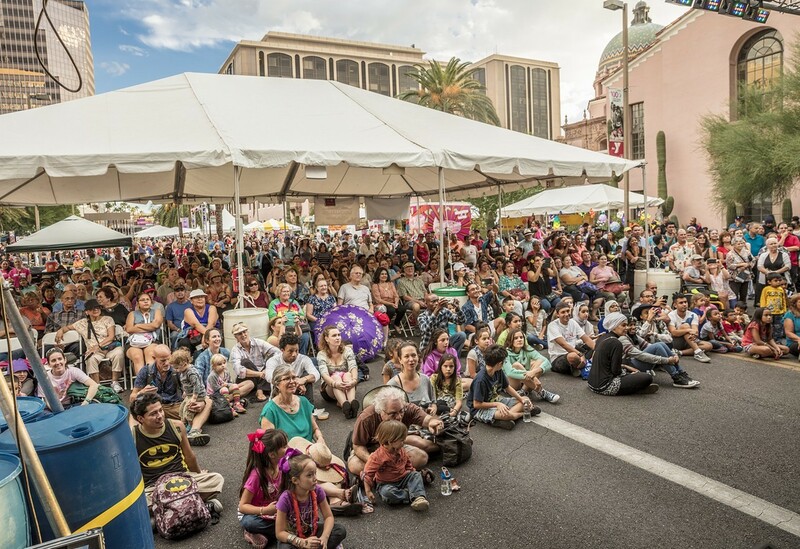 The concern is that, with Tucson Meet Yourself attendance growing every year, the park would literally not be able to hold the weight that will accompany the festival. So if you were aware that the event moved and maybe upset because it has been hosted at El Presidio Park since 1974, keep in mind the organizers and city have your best interests in mind: they don't want you to fall through the ground! On top of that, the new location will provide much more space for vendors, performers, and the public. The new location is on North Stone and Church Avenues, between Congress and Alameda, and on Pennington Ave.